It's a pretty sad day for TV fans, since it was announced today that Fox decided to cancel The Following , the Kevin Bacon-led drama about — among other things — a former FBI agent desperate to recapture a serial killer. It sounds like a recipe for success, and indeed it was for much of it's three season run. However, with the network having greenlit several new dramas for the Fall 2015 season, The Following's less than stellar ratings couldn't save it any longer and it got the chop. But just because Bacon won't be on our TV screens every week anymore doesn't mean you can't still indulge in your love for the actor. Don't worry — he's got plenty of other projects you can revisit until his next new gig. 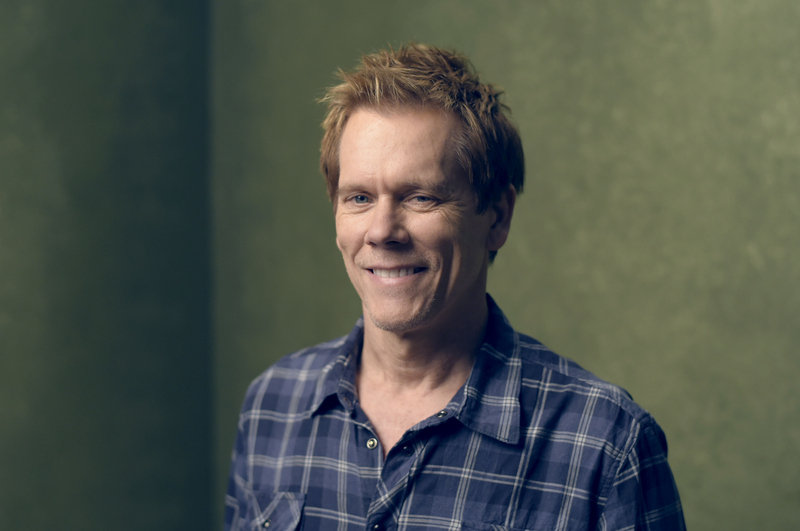 Bacon has been acting since the late '70s and has amassed an incredible 80 acting credits since — not to mention his 5 producing and 3 directing nods. What I'm trying to say is, don't despair if you're a Bacon fan and you've gotten used to seeing him as Agent Ryan Hardy every Monday night, because there's enough in his back catalog to fill the next several years of your life. If you wanna get your Bacon fix, check out these 7 films during your next movie night. Probably Bacon's most famous film to this day, Footloose is a classic even 31 years later. The music is great and the movie in general is just a lot of lighthearted fun. It doesn't matter if you've already seen this 50 times — it deserves to be watched 50 more. Not only is Bacon in this one, but Jennifer Aniston, too. I basically have already sold it, haven't I? The basic premise is that a young advertising exec pretends she's engaged to a dude she just met in order to impress her boss. Far-fetched? Sure. Enjoyable? Yup! I've loved Elizabeth Perkins since I saw her in Big as a kid, and considering she's the lead opposite Bacon in this movie about journalists with very differing opinions on pretty much everything who are given their own show. It's told from both of their perspectives and it's super funny and charming. I'm going to be honest with you — this is a heavy one. Bacon is a child molester who returns to his hometown after a lengthy prison sentence and attempts to start a new life... though obviously that's not without some serious complication. It's incredibly hard to watch at times, but is a great example of just what a solid actor Bacon really is. Another serious one with a STELLAR cast including Tom Cruise, Jack Nicholson and Demi Moore. It's the story of marines on trial for murder whose defense is basically that they were just doing what they were told. It's a really thought-provoking movie and one that holds up to this day. You've probably already seen Apollo 13 about 50 times (like Footloose), but guess what: too bad! Apollo 13 was scary, intense, and based on true events and you'll seriously be on the edge of your seat for pretty much the duration of the movie. Another heavy one. Childhood friends who dealt with something VERY traumatic together are reunited as adults when one has a family tragedy. This is a serious thriller, and really messed up, but again, another stellar example of Bacon's acting ability (as well as Sean Penn's and Tim Robbins').